While spots can be washed out burns can not. There are many reasons and accidents that cause carpet burns and deep stains in your carpet. Stains often come from paint, urine and feces from pets, or even polishes. It is difficult to clean out a deep stain, but the can be fixed depending on the carpets pie type and other considerations. 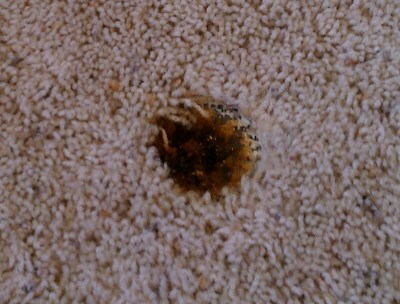 If a stain is has not yet soaked into non-loop carpet piling, the carpet may be trimmed or clipped. You want a carpet cleaner in Tyler Tx. that understands how to clip or snip the top of the pile deep enough to just remove the stain. Our experts are skilled enough to know not to snip the carpet too deep that when light carries across the carpet you can see it.